While #Cochella is trending on Twitter due to the ongoing music festival, what is trending more than that is #BeyChella and one of the reasons is that Beyonce is the one and only Queen B! 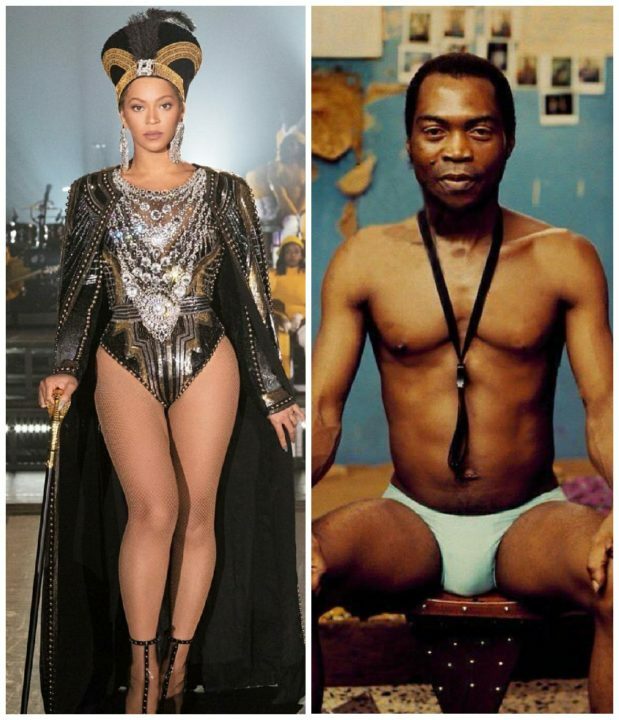 Scratch it, it’s not just that, Beyonce is also trending because of her amazing performance at the Coachella and her homage to Nigerian music legend, the late Fela Anikulapo Kuti. Ths legendary African-American female artiste used the late icon’s instrumentalist at her Coachella performance early this morning, a performance that kept fans off sleep and was worth every single seconds. Beyoncé’s love for Fela’s music was first shown at her Push Party where she and other celebrities had rocked African prints as they enjoy some Fela vibes. This is another way Beyonce is showing her love and respect to her African root and we are loving it.